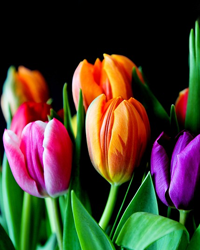 Obituary for Gladys F. (Vought) Schardt | Price Funeral Service, Inc.
Gladys F. Schardt, 92, of Meyersdale, passed away on February 10, 2019 at Meyersdale Medical Center. Born April 14, 1926 in Meyersdale, the daughter of Ray C. and Olive (Butler) Vought. Preceded in death by her parents; husband, Allen B. Schardt Sr. Survived by her children: Mary Ann Beal and husband Wade; Janet Bittner and husband Michael; Diana Rosenberger and husband Mark; Allen B. Schardt Jr.; David Schardt and wife Lisa; grandchildren: Zachary Beal and wife Nancy, Jared Beal and wife Nicole, Alaina Donaldson and husband Kody, Melanie Bittner and husband Lance, Anthony Bittner and wife Danielle, Jeremy Bittner, William Grasser and wife Kristin, Andrew Grasser, Nicolas Rosenberger, Emily Rosenberger, Vanessa Thomas and husband Tyler, Justin E. Schardt and wife Jaci, and Joshua B. Schardt and wife Nicole; great grandchildren: Lorenzo, Zachary, Penelope, Emmett, Misa, Kaia, Katana, Avayah, Kenzie, Gavin, Maddox, Nolan, Skyler, Gracin, Braxton, Alexis, Maci, Cassidy, Connor, Mikayla, Josiah, Rylie, Bailey, Brennan, Josy, and Boyd. Also survived by sister: Grace Spart and husband James and numberous nieces and nephews. After her husband passed away in 1968, Gladys raised her five children and enjoyed spending time with her grandchildren, great grandchildren and family. She also enjoyed reading the newspaper and staying up to date on current events. Friends will be received 5 to 8 p.m. Monday at Price Funeral Service, Meyersdale, where service will be conducted at 11 a.m. Tuesday, with Rev. Stephen Shin OFM Cap., pastor. Interment SS. Philip & James Cemetery. Memorial contributions may be given to the Meyersdale Public Library or Meyersdale Medical Center.